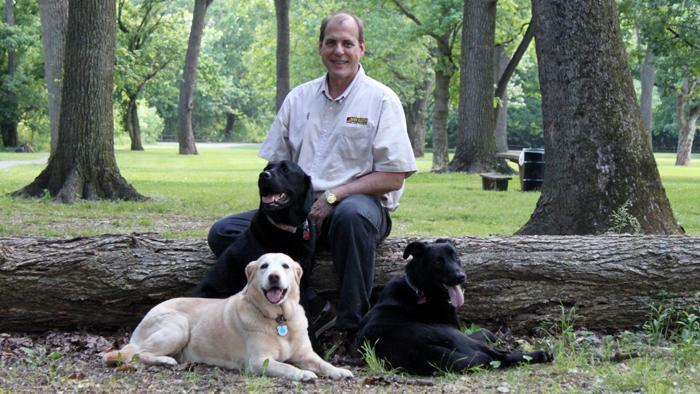 Dog training, the Bark Busters way! Bobb Frecker- Behavioral Therapist & Master Dog Trainer. Here you will find solutions to a well behaved companion. Build a Better relationship with your Dog. Aggression, Separation Anxiety, Barking, Jumping, Obedience. Puppy training, there is hope. Coach to set the right foundation for better communication. Teach you to understand what your dog is telling you. Show you how to communicate and build a better relationship with your dog. Communicate using "Dog language" never physical methods. Dogs will assume a higher pack position which may result in frustration or stress associated with responsibilities she may not be qualified to handle. This will result in unwanted behavior. Dog Body language: Often our body language is telling our Pet something very different than our voice is telling them. Vocal tones: you may have heard the Bark Busters growl, an important part of canine communication. A growl means, "Look at me. I have something to say." Explain what you want using body language and vocal tones. It's a difficult decision choosing the right trainer for your dog and family. There is so much information available and most of it very conflicting. With my experience I will make it easy to understand. Home where most issues occur. Fewer distractions in home. Your home is more convenient for you and more comfortable for your Dog. We can then move to your park, your Veterinarians office, the neighbor's home. Imagine reclaiming the front door. Yes you can answer the door without the Dog barking and jumping on your guests. I can teach you this on the first lesson. Sessions are scheduled Monday through Saturday. First visits are 2 to 3 hours. Follow up visits are about 1 hour. No obligation consultations are also provided. My commitment is to continue to coach, educate and give the right advice... for the Life of the Dog as part of the Bark Busters Guaranteed Lifetime Support.